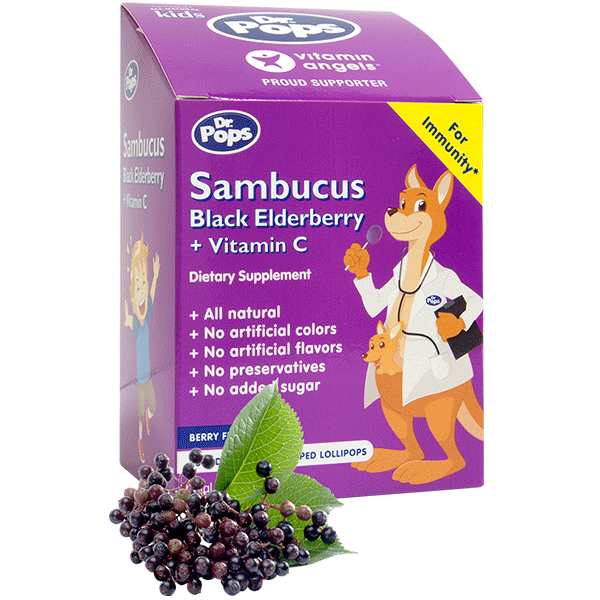 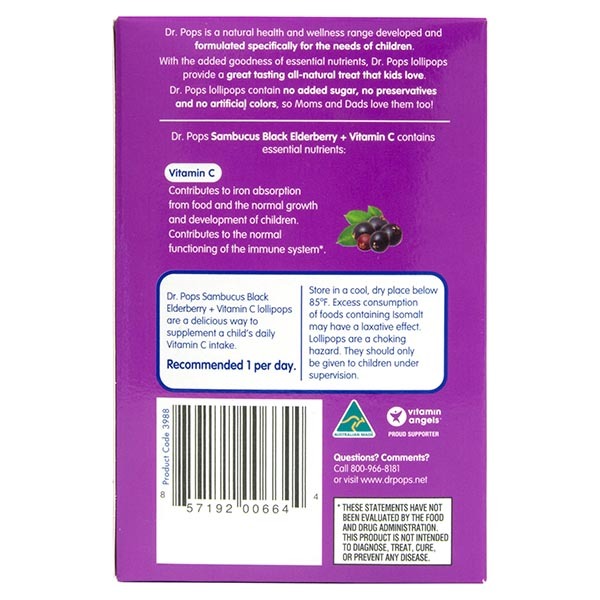 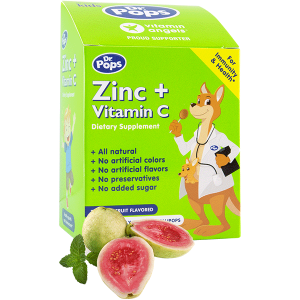 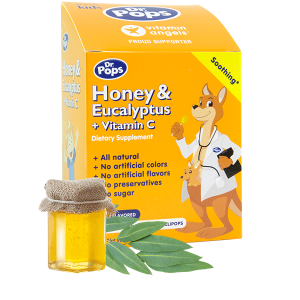 Dr​ ​Pops​ ​Sambucus Black Elderberry + Vitamin C lollipops​ ​are​ ​a​ ​delicious​ ​&​ ​healthy​ ​way​ ​to supplement​ ​a​ ​child’s​ ​daily​ ​Vitamin​ ​C​ ​intake.​ ​Made​ ​with​ ​only​ ​real​ ​ingredients​ ​(black elderberry fruit concentrate, acerola​ ​(vitamin​ ​C),​ ​isomalt​ ​&​ ​natural raspberry flavor),​ ​these​ ​soothing​ ​all-natural​ ​lozenges,​ ​originally from​ ​Australia,​ ​have​ ​no​ ​artificial​ ​colors,​ ​​no​ ​artificial​ ​flavors,​ ​no​ ​preservatives,​ ​and​ ​no added​ ​sugar. 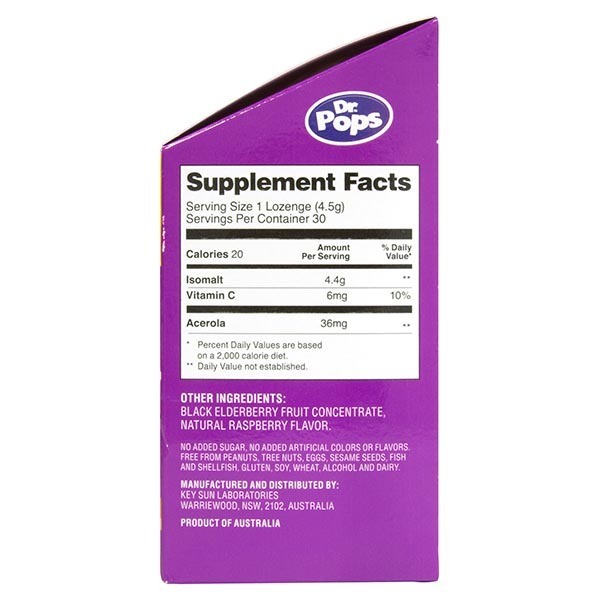 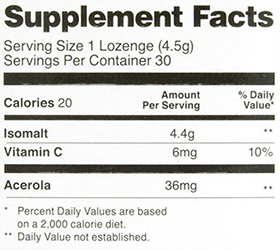 Berry​ ​flavored​ ​lozenges​​ ​are​ ​made​ ​with​ ​real​ ​ingredients;​ ​black elderberry fruit concentrate, acerola​ ​(vitamin​ ​C),​ ​isomalt​ ​&​ ​natural raspberry flavor. 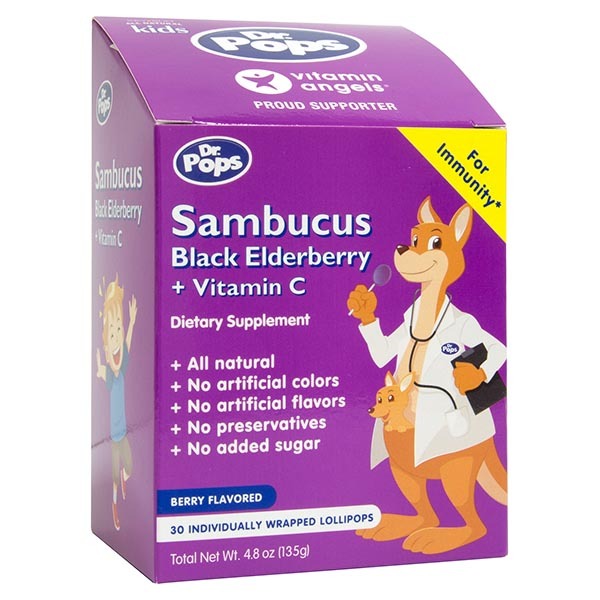 Dr​ ​Pops​ ​Sambucus Black Elderberry​ ​+​ ​Vitamin​ ​C​ ​lollipops​​ ​are​ ​vegetarian and suggested​ ​for​ ​kids​ ​older​ ​than​ ​12​ ​months. 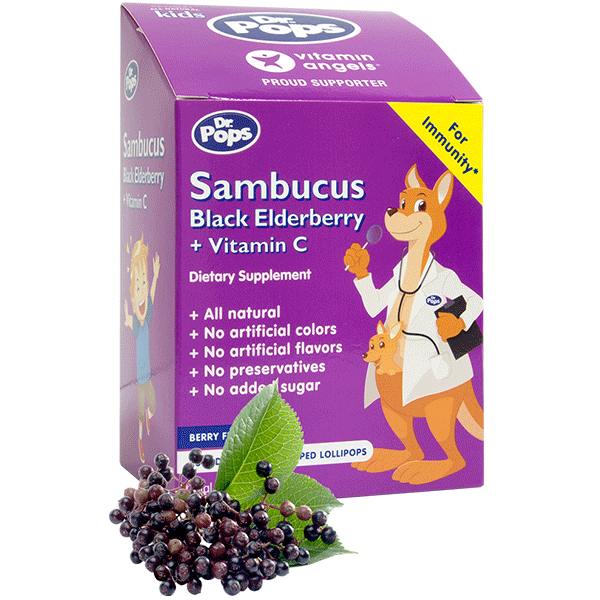 Black elderberry fruit concentrate, natural raspberry flavor.